This wedding season our SlideShow-DVD was pretty popular and we just finished one that we want to share with you. Maybe you remember Anja and Thomas` wedding, check out their blog post here. They had an awesome day and you can gain insight with the BestOf-selection, a whole wedding day in 5 minutes. Enjoy it! 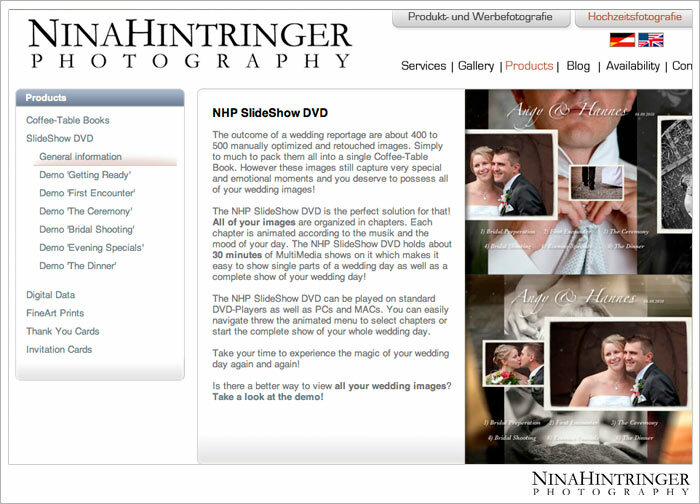 Some days ago we presented a small preview of our new NHP SlideShow DVD with Doreen & Günter in our blog. Finally the first complete NHP SlideShow DVD with Angy & Hannes is online!